We are the leading manufacturer of BOPP extrusion lamination grade ink in kolkata. 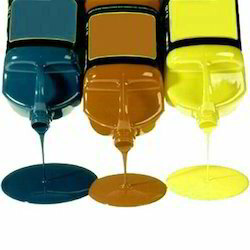 With our expertise and trustworthiness, we are engaged in offering an optimum quality range of BOPP Lamination Ink. Brand: Polymer Coatings and Inks Pvt. Ltd.
Color: Red, Pink, Yellow, etc. Color: Black, Red, Yellow, etc. With immense market knowledge, we have been able to provide optimum quality BOPP Lamination Ink. Our association is broadly known for maintaining the quality in offering BOPP Lamination Ink. In order to cater the variegated demands of our clients, we are offering an excellent quality range of BOPP Extrusion Lamination Ink. Our in-depth knowledge and industrial expertise enable us to manufacture and supply a distinguished range of BOPP Lamination Ink. 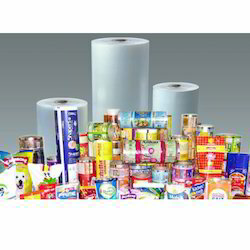 - Used for reverse printing on Pet film. Being one of the eminent manufacturers and exporters, we are engaged in offering Extrusion Lamination Inks. Processed as per industry procedures, the offered ink is ideal for reverse printing on BOPP film treated for extrusion lamination. Proffered assortment is appreciated for its high stability and longer shelf life.